Adapts automatically to changing needs every night. Perfect for progressive neuromuscular patients whose ventilatory needs change often. Maintains optimal comfort for the patient without decreasing effectiveness or safety. Digital Auto-Trak System with built-in leak detection ensures a breath-by-breath response to a patient’s breathing patterns. The AVAPS algorithm estimates tidal volume over a few breaths and ensures that the average volume is reached by adjusting IPAP pressure throughout the night. Designed especially for patients with certain diseases or disorders, such as neuromuscular and COPD patients who have respiratory insufficiency, or obese patients with hypoventilation problems. Based on Respironics Digital Auto-Trak Sensitivity algorithm performance, AVAPS estimates the patient's tidal volume with each breath and compares it with the target tidal volume. If necessary, the algorithm slowly increases or decreases inspiratory pressure for each breath (0.5 to 1 cm H2O/min) in order to achieve the preset tidal volume. 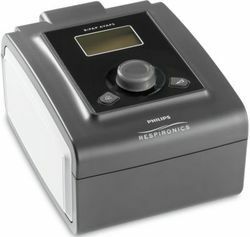 •The BiPAP S/T Non-Invasive ventilator aligns with the System One product family, leveraging accessories across all Philips Respironics sleep therapy and Non-Invasive ventilator devices. • Tailored ventilation because every patient is different. 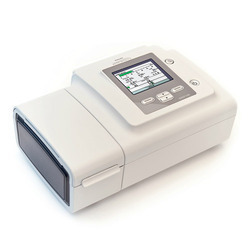 • The bi-level ventilator BiPAP A40 has been designed to combine ease-of-use and comfort with technological innovations that adapt to patient's condition to deliver enhanced therapy. • Inspiratory time :0.5 – 3 sec.